777 Recordings is a Berlin-based record label established 5 years ago by Ron Wilson. Since then, fifteen releases have seen the light of day, easily recognizable in record stores due to their chalk-like graffiti art from Core (except the most recent release which was penned by Albrecht Gaebel). The sound of the imprint can be found somewhere in between house and techno on the spectrum with plenty of jackin’, acid and lo-fi leanings to be found. A number of producers are able to call 777 Recordings home, among those Futers, Orson Wells and Qnete. 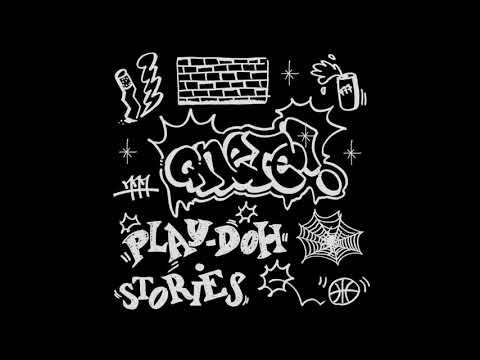 The fifteenth release is a 2 x 12″ LP entitled “Play-Doh Stories” and comes from Qnete, real name Marvin Uhde, a Leipzig via Bremen producer who previously released a solo EP and a single on the Berlin staple’s most recent various artists compilation. The tracks on the album are a selection of works, perhaps a historical look back into Qnete’s tapestry of sounds, as some of the pieces are up to three years old. Today we’re happy to premiere one of the tracks of the album, Tendencies. The backbone of the track is a driving rhythm and a haunting vocal pad that plays almost throughout and pitches up and down. About halfway through, the track goes from functional to more melodic, as some warm distorted keys come in and contrast nicely with the tougher drums and bass. A dancefloor weapon for sure, this one should be just as in-demand as the rest of the 777 Recordings catalogue. The 2 x 12″ release is already out so you can grab your copy from Juno.